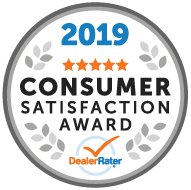 Davis Chevrolet GMC Buick - Airdrie, and the rest of the dealers in the Davis Automotive Group, have been awarded the esteemed Aon Best Employers in Canada award for the fourth year running. We have been recognized as a Platinum Employer, a prestigious honour enjoyed by fewer than 5% of participating organizations. If you'd like to join the Davis Team, check out our available career opportunities in Airdrie now!